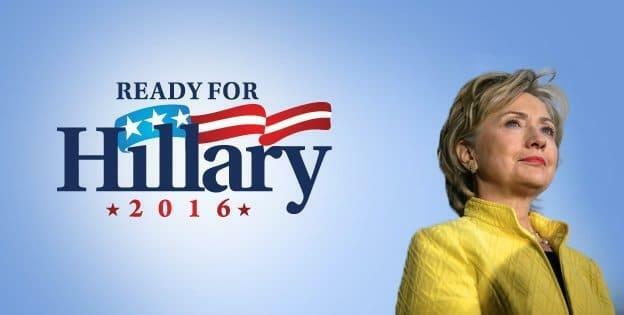 Who will be the next president of USA ? – Say it on ‘Ok Google’ ! Do you know who will be the next president of United States ? Well, we know the answer-Thanks to our beloved Virtual assistant – ‘Ok Google’. We’re not into the predictions or guessing the answer by votes or something, we just asked the Google – who’ll be the next president for US, and the result came up with a stunning answer. Seriously, this is yet another hilarious thing in the Google algorithm. Knowledge graph was recently added to the Google algorithm to show up the best possible answer in the form of cards for the Android users. In web version, knowledge graph showcases some important information regarding the queries like if you search for a director, in the right side Google shows a card ( taken from Wikipedia ) having short bio of the director, it will also shows information regarding the queries in the form of cards – just like “I’m feeling lucky”– which will open the top result where as this one works in the same way – it will show up the best possible answer for the query in the form of cards. So what’s the story behind this article ? 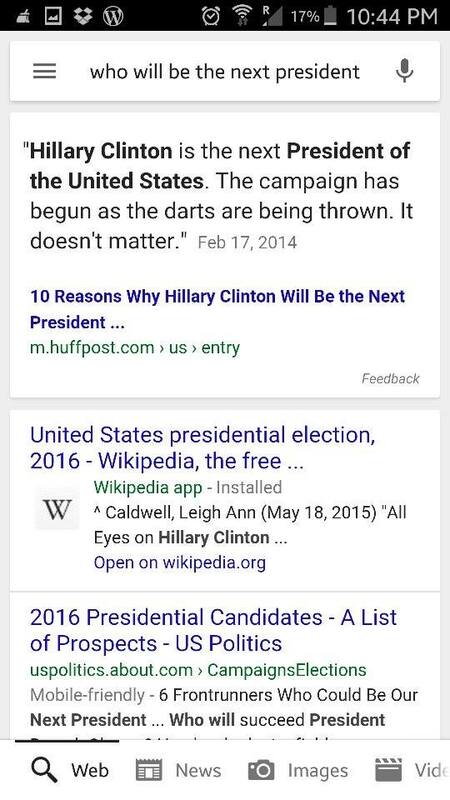 well, we did a search to find out the next president and google showed up a card saying “Hillary Clinton” will be the next president. Actually Google took up this information from the Huffington post ( best possible keyword phrase can be found in this article ) and showed it up as the best possible answer for the mobile android users. This is not the first time Google played up like this, there were many funny questions and memes regarding the ‘Ok Google’ but this one spices up the heat in the politics. [quote_right]What gonna happen to the Republicans :p ? [/quote_right]As of now the card is not showing up, but with a little change in the phrase we’re getting another card which says the same answer. So you’re thinking Hillary Clinton is associated with Google and making some kind of promotion ? well :p, you’re totally wrong, I’ve already explained regarding the card, it’s just a SEO thing for that particular phrase, Google might have taken up this article as the best possible answer as it contains every keyword with the same phrase sequence. Cool down, we are not intended to fool you nor Google is! It’s just a funny way to explain how the technology is going on !! There were many cases we found some wrong things in Google knowledge graph and we think Google Engineers are still working on it to make it a better way to define the exact answer for the particular answer. Have you tried this query ? Do you got the same answer ? Post your answer in comments! Previous articleASUS ROG GL552: Designed for gaming and primed for creativity!